Helloooo! Happy St Patrick’s day guys! Have you been enjoying my St Patty’s outfits this week? Are you wearing green today? I don’t know if you guys saw my Instastories over the weekend but I had a great opportunity to experience St Patrick’s Day the Chicago way. This is a very big holiday in the city and I was very lucky to be invited by the Country Financial team to celebrate it to the fullest. I had to wake up super early to be in Navy Pier by 8. It was so cold, but it was very sunny and that helped a lot with the freezing temps. I met the BF there and immediately hopped in the Country Financial boat where they were waiting us with our tickets, green Ray Bans, a selfie stick and a scarf. Cutest gift bag ever seriously! On the boat we started drinking (no judging, it was St Patty’s!) Guinness and Bloody Mary’s and traditional Scottish music. 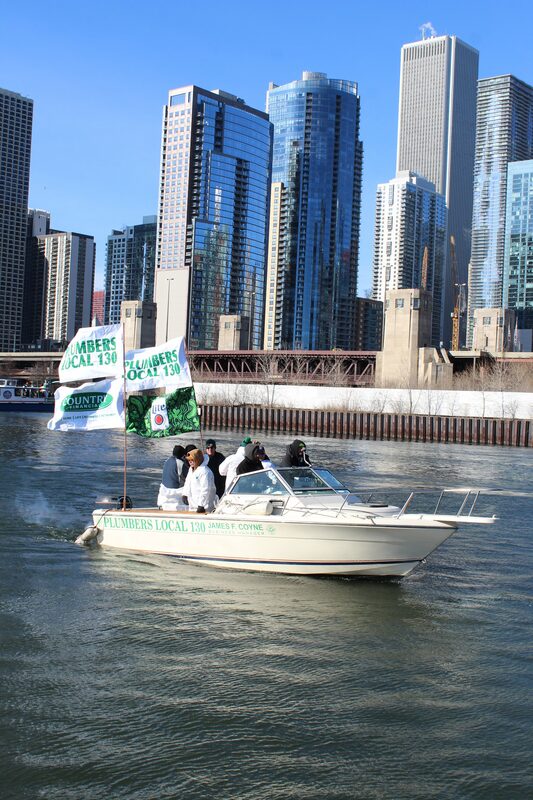 I’ve never had the chance to experience anything like this before and we were just getting started to get ready to dye the Chicago River green. The party was ON inside this boat lol and after 5 minutes most of us forgot how cold it was. As soon as we entered the main canal and saw the streets and bridges full of people it was impossible not not feel their energy! 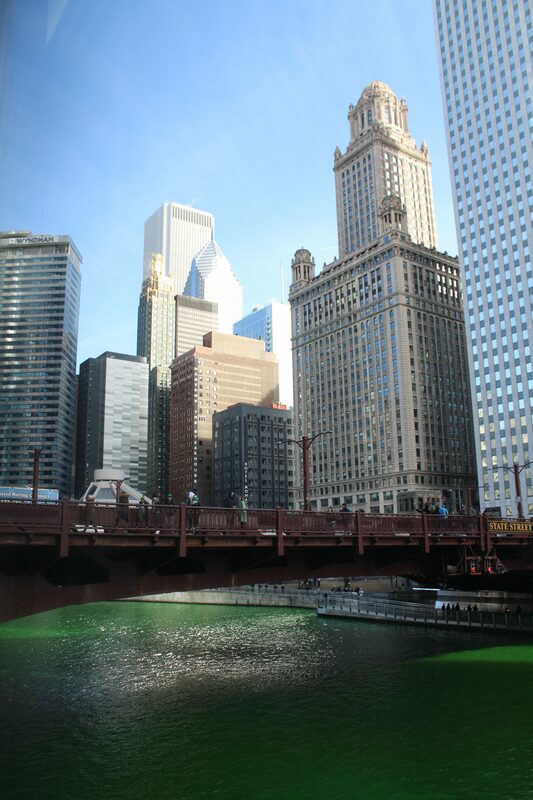 Everyone was just waving and screaming while our boat, along with a few others, started dyeing the Chicago River green. It was so much fun to see, but you had to be really careful not to get this liquid on you and your stuff because of the wind. Just take a look a few of the photos and find the green spots, I got green all over me, and also on my phone and camera lol. Isn’t it amazing? Seriously, such a cool thing to see. After the river was all green it was time for the parade to start. We were lucky enough to have front row seats at the beginning of the parade so we had a great view of everything. At this point, the weather was much nicer since we were not on the water anymore. I loved it! I was amazed by everything and especially the view of the Chicago skyline on the back. 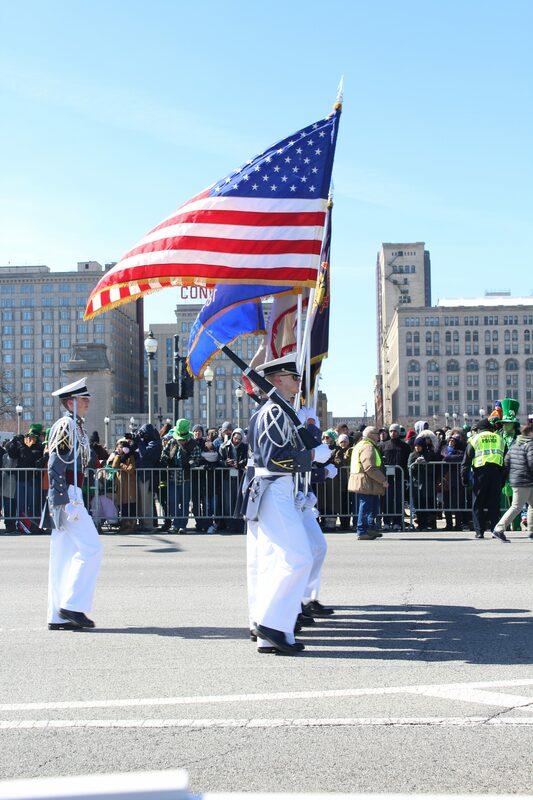 It was great to learn how Country Financial is one of the sponsors of this very special day in Chicago. Check out their services and website for more info. It’s always great to know who supports the community you live in. After the parade was over, like at around 1 pm, they had a little lunch organized at the famous Steakhouse Smith & Wollensky. The bottom area of the restaurant was closed for us and they were serving yummy appetizers, beer and wine. After a little while they brought out some steak, salads and sweet treats. 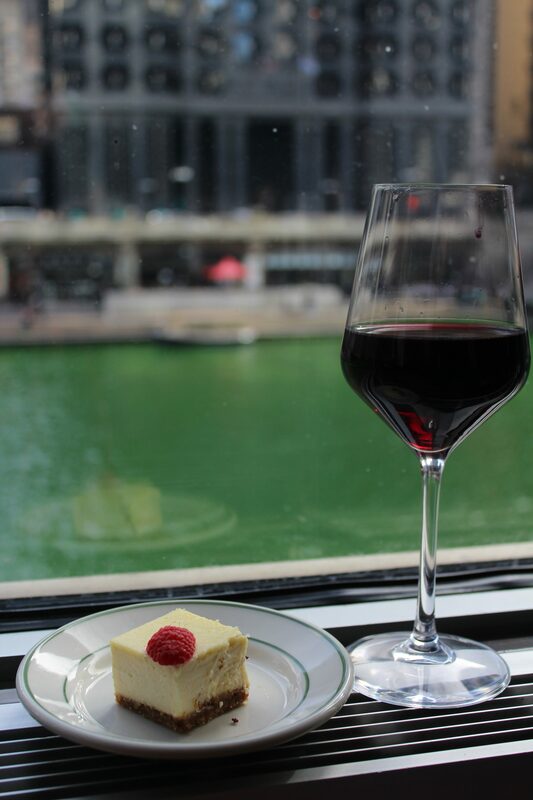 Sorry for not taking enough food photos but honestly, I mostly had red wine and cheesecake, so I took a photo of that… and of the amazing view of the green river and some of my favorite buildings in the city. Well guys, hope you enjoyed this post! Happy St Patty’s Day!! If you don’t live in Chicago, I strongly encourage you to plan a visit during this time of the year. So much fun! Party starts at 7 am and ends whenever you want it to end. Don’t forget to check out Country Financial and their services. They offer from insurance to investment and financial advice. Trust me, this is something you want to take care of ASAP. As always thank you so much for reading and have a great weekend ahead! *Thank you for supporting sponsored opportunities on WOS. Looked like so much fun! I wish i was there!! Too bad we dont celebrate it in here.. 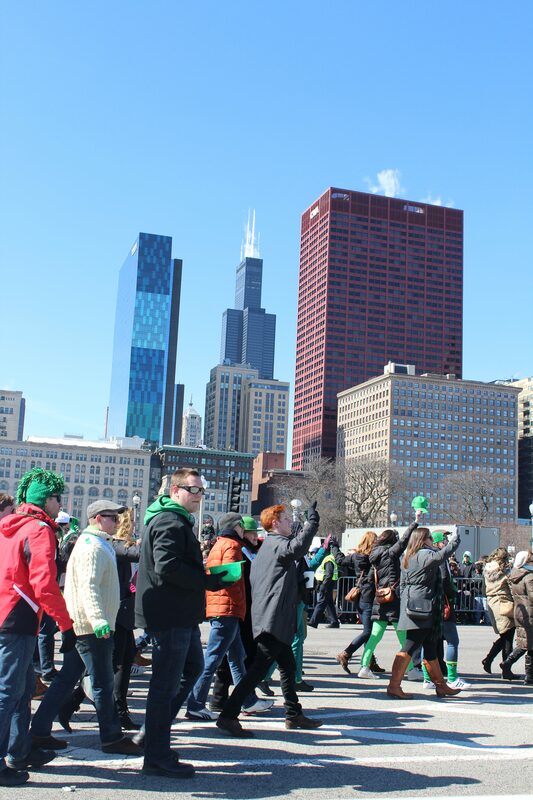 I seriously would love to go to Chicago for St Paddy’s Day. I hear nothing but good things. I’d love to see that green water too . It’s crazy how green it gets. You looked to have such a good time at this event and the wine was needed I’m sure. I have also heard of Country Financial, I know a few people who work for the company. 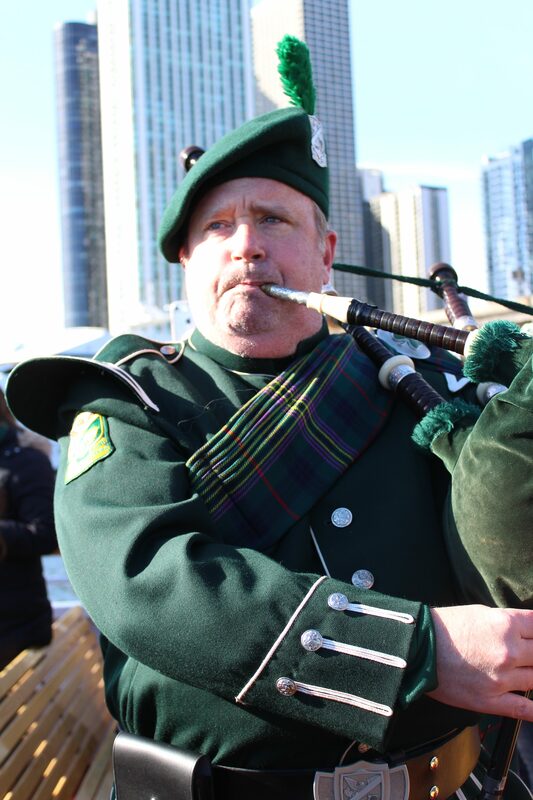 Looks like a gorgeous beautiful day in Chicago, so glad you forgot about the weather and enjoyed a great St Patrick’s day! Sounds like you had an amazing St. Patrick’s Day! I really loved hearing about your Country Financial boat trip and seeing all of your photos, especially the ones of the Chicago River being dyed green! What a cool experience. 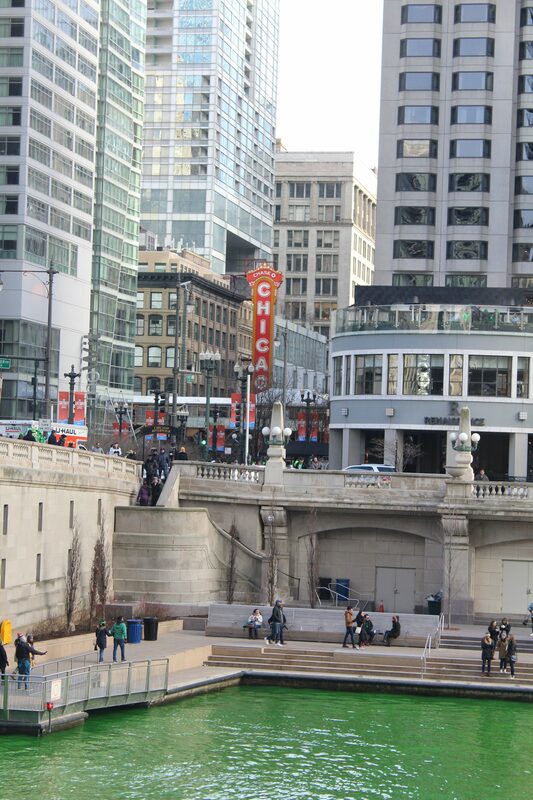 I can’t wait to visit Chitown one day. Cheers to a day filled with what sounded like fun and lots of alcohol. (Lol to your lunch that consisted of just wine and cheesecake)love it, we all a need a day like this once in a while! What an amazing experience! I always wanted to do something like this during St. Patricks day! Definitely need to check it out next year or some time! Thanks so much for sharing!! This definitely looks like an incredible experience and I am happy that you have this great opportunity to be part of. Thanks for sharing these amazing pictures and lovely post!! Wow, now that’s a fun celebration. I didn’t know they celebrate like this in Chicago. I’m in LA and people here don’t really celebrate but I lived in NY, it was a big deal. Thanks for sharing dear! So fun! Let’s see a picture of the swag bag and food pics! (That’s my fave part of these events LOL). It must have been so cold my the water -hope you bundled up! And I’m still laughing about the green river spraying you. Please tell me it washed out! Beautiful american day, I never saw before. Thank you for share us this event of Chicago. 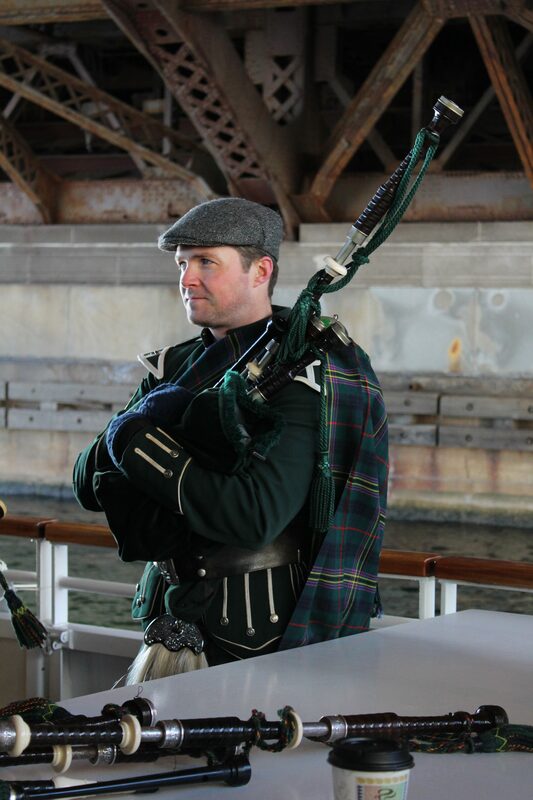 How fun is it to celebrate St. Patrick’s day on the GREEN river! I’m so curious to know what they did to make it so. The festivity looked great and I hope that you had a green beer or two as well. This looks like such a fun time! 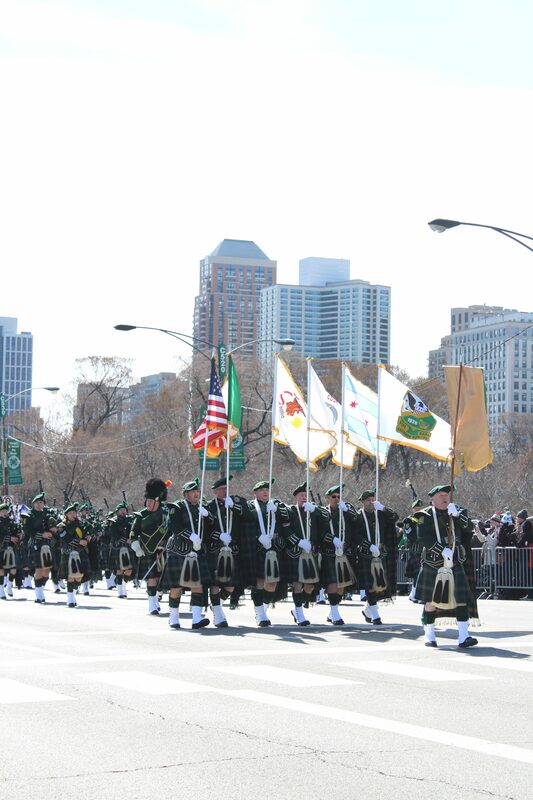 I’ve never been to Chicago, but now I want to make sure and go for St Patty’s day! Wow! Now this is how you celebrate St. Patty’s day! When I saw your first photo, I was thinking “wow! that water is green!” It is interesting that they dye the water. Your whole day sounded like so much fun and you literally had the best view at the parade. Omg they made the water green too! How did they do that? Btw, great photos! Looks like you had a lot of fun there. What a wonderful day in Chicago! I have loved seeing the images you’ve been posting on IG of this too! This all sounds and looks like an amazing time! You look gorgeous and I still cannot get over dyeing the river! That’s incredible! Aww wow! This is such a great idea to paint the water green! I always wanted to see it actually! I bet you had a lot of fun there, the whole thing looks absolutely fantastic! That looks like so much fun and festivities!! I didn’t know it was such a huge event and celebrated by so many! The only celebrations we see here are in the pubs. The river is so cool when it is green, it looks radioactive and part of a marvel show! Wow it looks like such a beautiful day in Chicago. My brother used to live there, so we visited Chicago so many times. 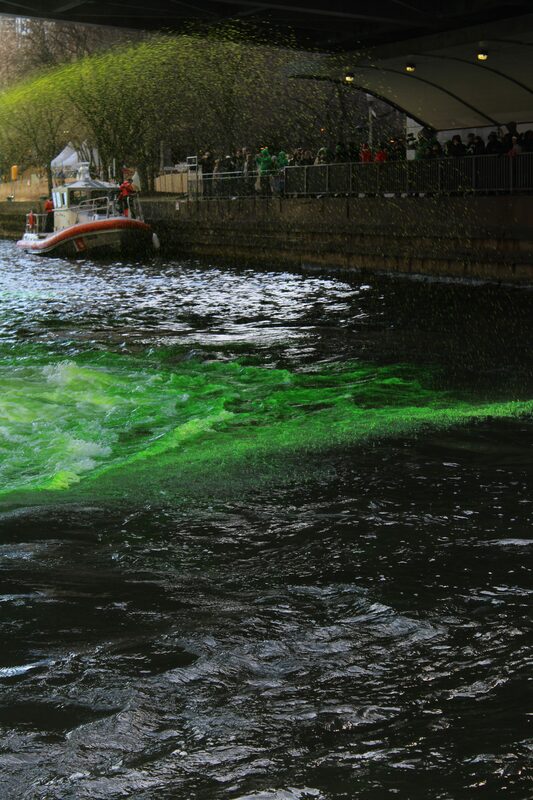 That’s so cool that they dyed the river Green, so festive and fun for St. Patricks Day. I will definitely try visiting Chicago next around this time. The event sounds like an amazing experience. I love Chicago and would definitely go there, but celebrate the greenest day of the year sounds even more fun! I can’t believe that all water got to be colored. Actually few years ago, I went to Savannah to celebrate and they didn’t color water. Seems like an amazing St Patrick’s Day indeed and something I haven’t experienced, despite me living in the US when I was a teen, but I guess there weren’t that many Irish descendants around where I live. These pictures show the wonderful festivities in Chicago though and I can’t wait to take part of them some year in the future 🙂 Hope this weeks is a little bit more laid back, haha. So cool you were able to experience this event in a beautiful city and a wonderful way babe!! Not a huge fan of celebrating St. Patricks day but I do like the St. Patricks cookies hahaha. Love the pics and looks like you have a blast. 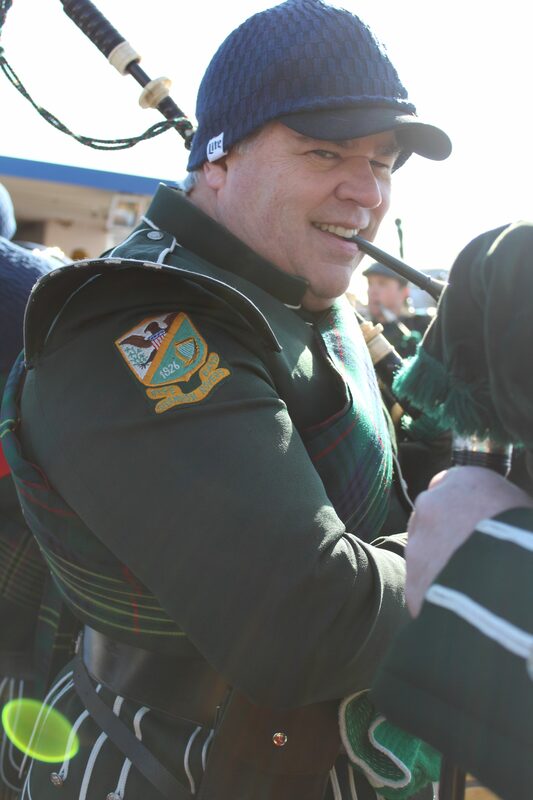 What a fun way to celebrate St Patrick’s day! Hope you enjoyed it! Oh wow! That looks like a great event in the open! The view is fantastic and your photos look fab as well 😉 How I wish I can attend the event and experience it for myself! I absolutely loved your outfits and love this festive and historical parade. It sounds like a truly wonderful experience! Thank you so much for sharing. It’s funny because every year St Patrick’s Day seems to be quite an occasion here in Sydney but this year everyone seems to have forgotten about it. It’s my brothers birthday on the day so I spent it celebrating with him! The festivities look like so much fun where you are! 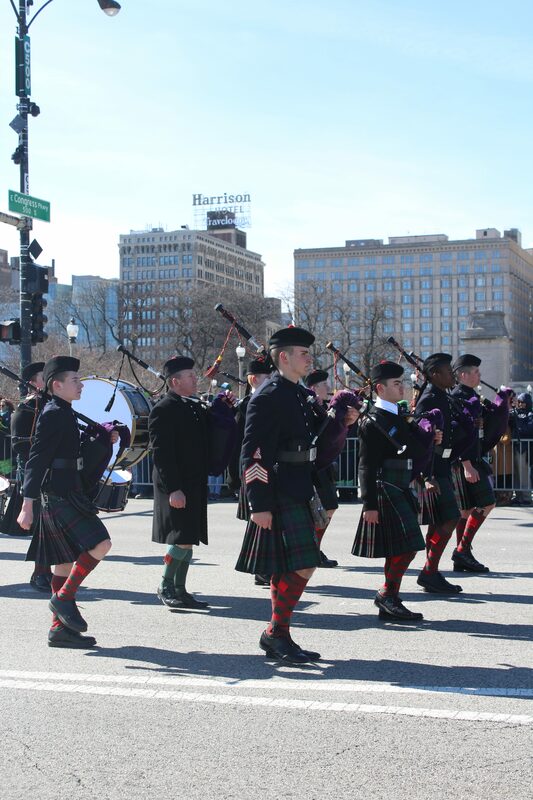 Wow, this is such a cool St. Patrick’s Day festival! 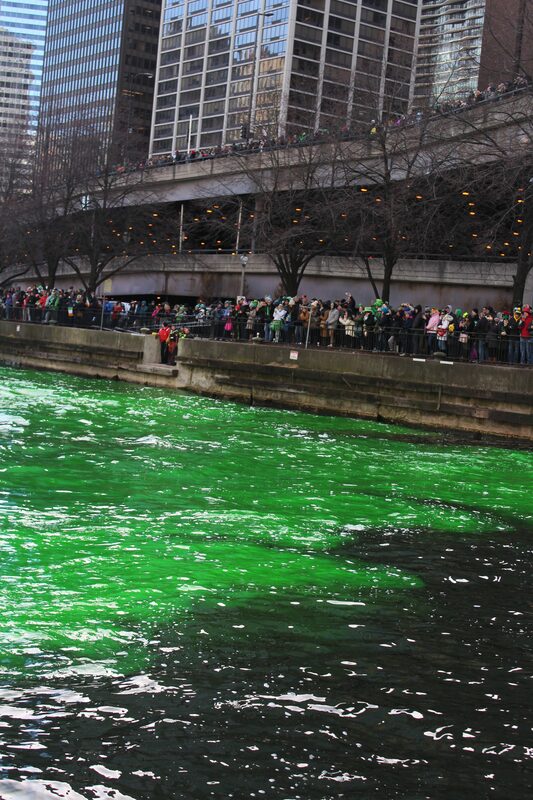 I didn’t know Chicago did such a big celebration and I can’t believe they dyed the Chicago River green! How cool is that! I definitely need to add this to my bucket list. Aww so fun! Happy St Patrick’s Day, babe! I won’t be going downtown today since we’re eagly awaiting Baby J’s arrival but I hope you will have tons of fun! That sounds like a crazy fun experience! It’s always so fun this time of the year the year when we have the whole community just together celebrating. From the looks of it, it was amazing. and look at that green water haha that’s definitely a sight.